The Client is a Microsoft Certified Business Partner providing global services for industry-specific implementation of Microsoft Dynamics. A Microsoft’s Eastern Region Competency Awardee, the Client is an authorized reseller of Microsoft Dynamics AX “Axapta”, Microsoft Dynamics GP “Great Plains”, and dynamics CRM. Before engaging Callbox, the Client had difficulty generating a sufficient number of leads for its inside sales team due to a saturated contact list, limited market area, and changing lead qualification requirements. With its priorities on selling, the Client needed a reliable lead generation partner to fill the gaps that were emerging in its sales pipeline with sales-ready leads, so that its inside sales team could focus on converting those leads into sales, instead of spending its limited time prospecting. Employing at least sixty-five full-time staff. 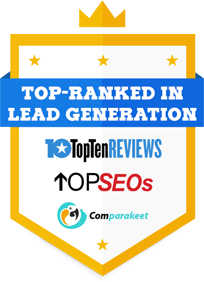 The Client signed up for an initial three-month lead generation campaign in August 2006, which was immediately followed by a longer six-month contract with a quota of ten leads per month. The Client provided the script and brochures, while Callbox provided the list of target contacts. Prospects that did not match the specified qualification criteria were removed from the calling list, making the campaign highly targeted. The Client has been renewing its contract with Callbox continually for more than five years. By the end of 2010, Callbox had delivered close to 300 qualified sales leads for the Client, providing a stable source of leads for its sales team, and filling its calendar with qualified appointments month after month. The Client found that using Callbox’s targeted contact list results in higher contact rates and better lead quality, and it was finally able to escape its dependence on its own saturated contact lists. The Client’s salespeople became more productive because they were able to focus on pre-qualified prospects. Aside from successfully generating a substantial number of leads from outbound calls, Callbox was able to use each call to tap into prospects’ interest, ultimately stimulating more inbound inquiries and capturing more leads for the Client from this unexpected source. The Client’s revenue was then additionally augmented by this increase in inbound inquiries and website visits.